We're showing information for 92567. Modern customers are clever. They explore their options and only enter relationships with the companies they consider to be leaders in their industry, which means competition throughout the greater California area is relatively stiff. Nuevo, CA companies are working harder than ever to attract loyal new clients. Companies that want to thrive in such an aggressive market need dependable, rapid connections to current and future customers. Frontier Business packages offer a variety of phone and Internet services—including Business High Speed Internet—designed to help you stay connected with both your customers and employees. Want your The Golden State business to stand above the rest? Frontier has the competitive edge you’re looking for. And that’s important—not only for winning-over new customers—but also for finding the best and brightest talent throughout Nuevo, a job market that’s expected to grow by an average of 11.92 percent. Frontier’s services for small businesses help you build relationships with current customers, future customers, and the employees you’re recruiting. Frontier Web Development and Hosting services can help ensure your business has a strong online presence, and Texting can help promote sales events. 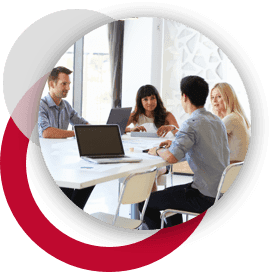 What’s more, Conferencing solutions can make planning projects and working remotely more productive, and Frontier’s Managed IT tools provide much-needed data backup and recovery services to give you peace of mind in an increasingly digital world. Many California businesses are experiencing a surge in growth and development. But the benefits that come with growth can also present new challenges. Fortunately, you can avoid these problems and secure long-term success with Frontier’s Enterprise Solutions. scalable Ethernet (Local Area Network and Virtual Private Line) enables you to adjust your bandwidth as needed, so when your business expands, you’ll still have a reliable connection. Plus, you can use digital asset over a safe IP connection with our IP Virtual Private Network. In Nuevo, however, business owners need to be able to adapt to stay competitive and that entails keeping up on more than just expansion techniques. Do customers have a convenient and reliable way to communicate with your business, or is there room for improvement? Centrex from Frontier provides high-quality telephones that are easy to use and come with all the standard features that you want, along with advanced features that you need. You will also have crystal-clear and dependable phone lines when you choose Frontier Communications. That means you can focus your efforts on your The Golden State clients while Frontier takes care of hosting, network design, equipment, and monitoring. That’s not all either. 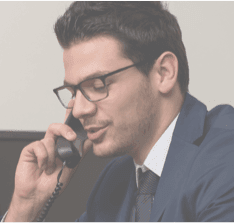 When you choose our Hosted VoIP solution, you’ll get the features you expect—like Caller ID and Voicemail—as well as additional convenient benefits such as voice-to-email integration, unlimited calling nationwide, and exceptional sound quality. In every industry--whether it is Health Care, Finance, Education, or Retail--customers want to quickly connect with reliable service providers. Your potential customers in Nuevo, CA have the same expectations. They expect to interact with your employees online, in person, and over the phone; and they tend to remain loyal to businesses that provide the resources to make these interactions simple and efficient. By choosing Frontier in your area, you get dependable customer service and advanced infrastructure and equipment. Plus, Frontier's services are customized to fit your industry, so you'll be a step ahead of the competition. Are you doing everything you should to protect your business? There were actually 0 cybercrimes in California in 2013. Fortunately, Frontier Secure is there to help protect your business. You can’t underestimate the importance of the protection you get from services like cloud backup, virus software, malware protection, and reliable technical support—all included with Frontier Secure. Additionally, Frontier helps business owners in California protect physical assets, with a number of equipment replacement programs. What’s more, Frontier provides Internet speeds up to , which can be a serious advantage for any California business. A faster Internet connection means less time waiting and more time concentrating on your business and connecting with customers. Find out more about how Frontier can give you the competitive edge you need through heightened security features and faster speeds.